I try to add at least one more MLB stadium to my list every season, and this year I was lucky enough to be able to add two. 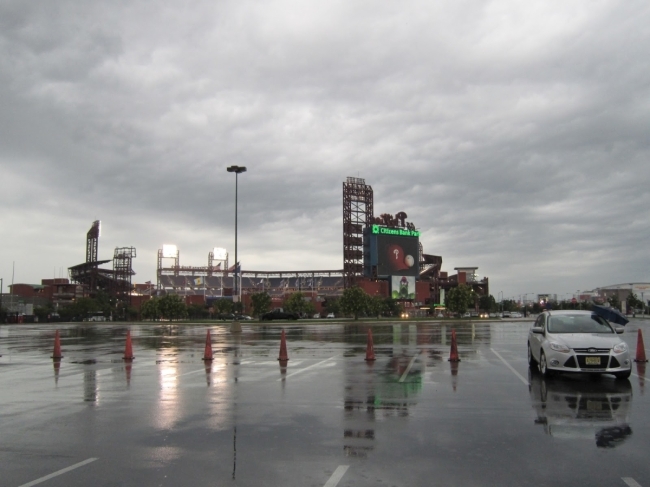 As part of my recent trip to Philadelphia I attempted to see a Phillies game at Citizens Bank Park. I say “attempted” because the game ended up getting rained out. 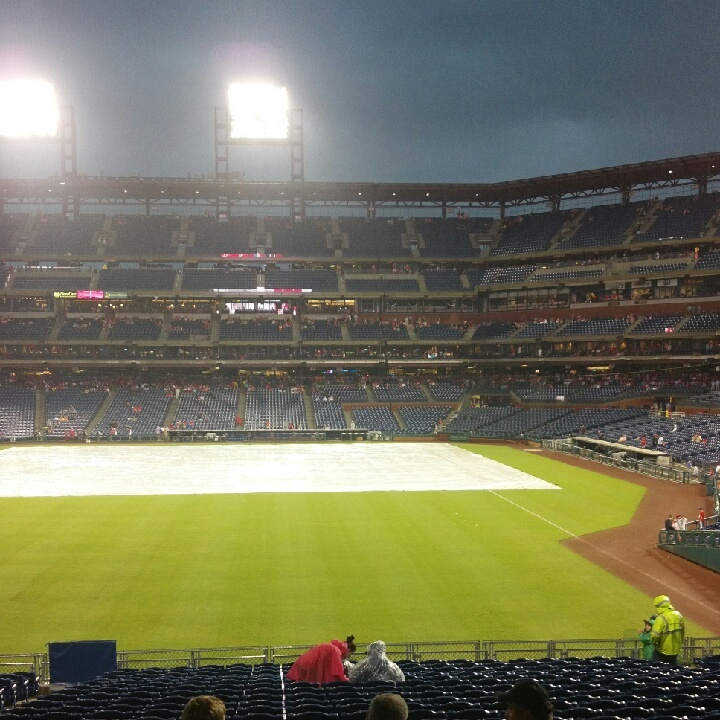 It was my first time ever going to a baseball game and having it get rained out, so that was a bummer. I was still excited to see the stadium and like always, enjoyed walking around it and exploring (as best we could with the rain). 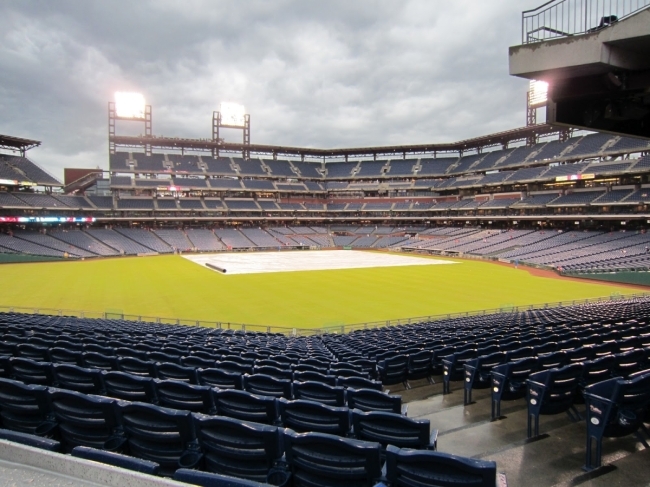 Hopefully I’ll get to go back and actually see a Phillies game someday. 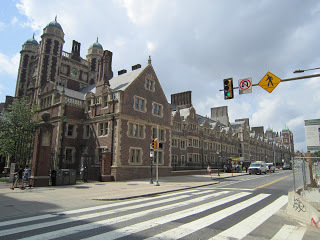 I wouldn’t mind going back to Philly one bit, so I’m sure it will happen at some point. 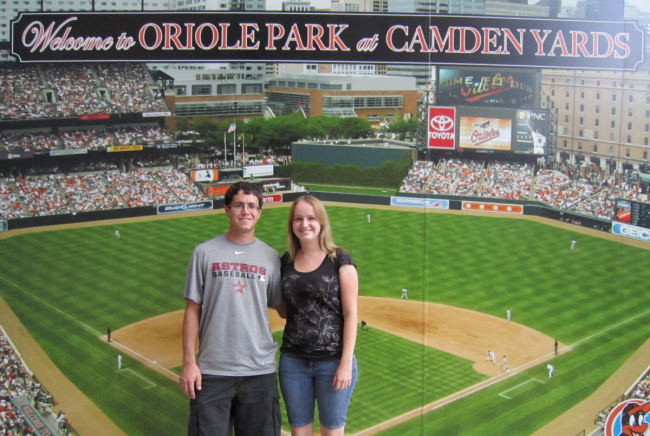 The second stadium I added to my list was Oriole Park in Baltimore. It was an absolutely gorgeous day and the weather couldn’t have been better. 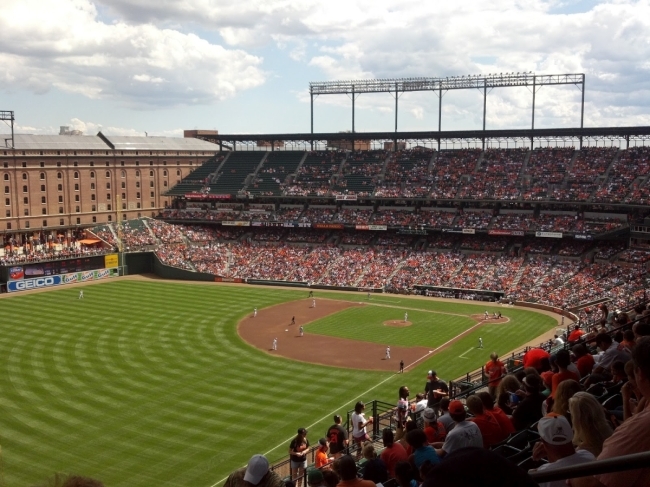 And the fact that it was a game against the Yankees (at the time of writing this post, the Orioles and the Yankees are tied for first in the AL East) just sweetened the deal. The fans came fully decked out and it was a fun environment, even if the Yankees fans being there created some interesting interactions. I got to enjoy going to both of these stadiums with a friend from college that I’ve probably been to more baseball/softball games with than anyone else on this planet. Thank you Danny, for going with me! Today happened to be the day that MLB released their 2013 schedule, so I can officially start planning for next year whenever I’m ready! At this point I have my sights set on California as there are still four stadiums there that I haven’t gotten to yet. And really, I have five east coast stadiums and only four west coast? Gotta work on that. As for potential east coast stadiums, Boston is the city that’s currently at the top of my list of US cities I want to visit, so I’ll probably be stalking the airline sales next year for flights to Boston. 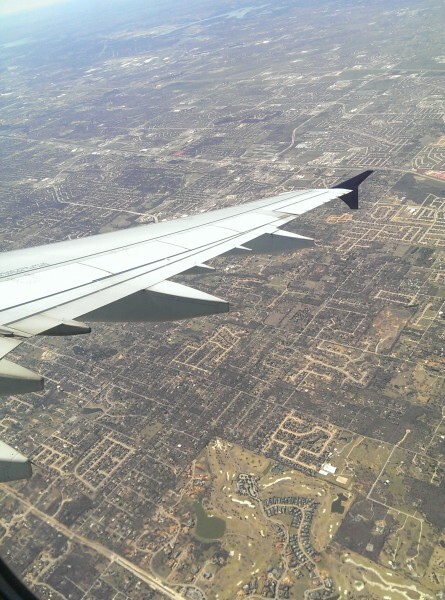 I wouldn’t mind adding something in the middle and making a trip to Texas either. But for now, as the current season wraps up, I can say that my MLB stadium count is at 9!